Parts Pro News – Page 69 – Driving home the latest industry news, product releases, and program announcements. Superchips and Edge Products in the House! 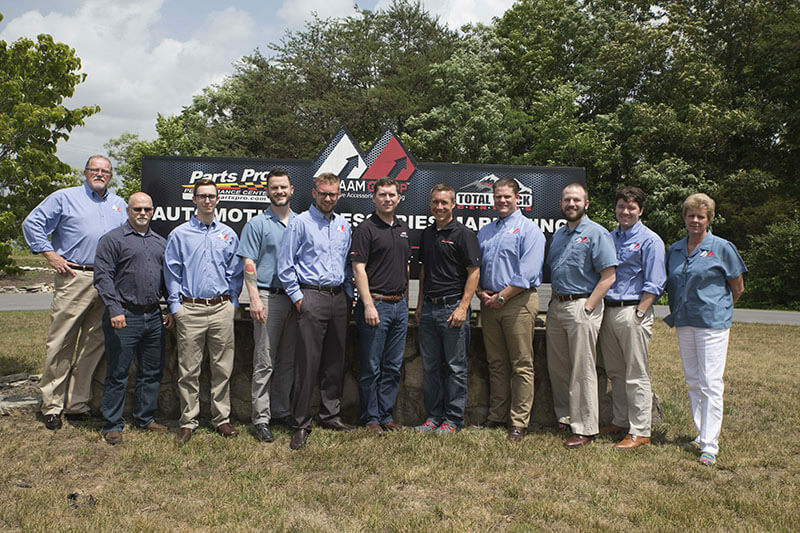 Parts Pro and The AAM Group yesterday hosted sales and marketing leaders from two giants in the tuning industry: Powerteq’s Superchips and Edge Products. In the all-day collaboration, we discussed how Parts Pro’s marketing tools and services could help secure broader exposure for the companies’ leading-edge tuners. For proof of visit, we all gathered at the end of the day for a group photo. The bright sun caused as many squints as smiles, but we got the shot! Thanks to Bryce Castleton and Jim McGinn for making the trip out from Utah to see us. We loved having you and look forward to an exciting year ahead! To give your vehicle a custom performance overhaul with an Edge or Superchips tuner, head on over to your local Parts Pro retailer, or find a local affiliated store using our dealer locator. If you are an aftermarket accessory retailer who would like to become part of the nationwide Parts Pro network, please join us today! A true blast from the past. 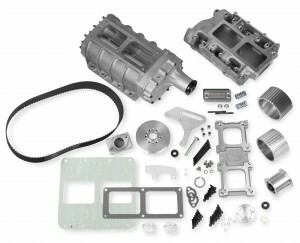 These highly sought-after superchargers have been unavailable for years, but now Weiand is proud to reintroduce them. The cases for the 6-71 and 8-71 superchargers have been redesigned for a nostalgic look that will be at home on a Cacklefest dragster as well as a new high-end build. HORSEPOWER! Weiand’s 6-71 and 8-71 kits are the ultimate statement of power and looks. Pull into the local cruise-in or drag strip with one of these sticking through the hood and you will get noticed. They’re not for the meek, however; these supercharger kits are designed to generate 50%+ more horsepower and torque across the RPM range! Flowmaster’s California-legal Direct-Fit Catalytic Converters are designed to meet California’s emissions requirements on a wide variety of applications. 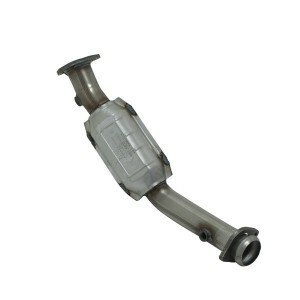 These high-quality catalytic converters are manufactured in the USA and feature stainless steel outer shells for maximum durability. The internal substrate material and precious metal loading have been carefully engineered for maximum efficiency and to avoid MIL code issues that are common with lower-quality converters. Direct-Fit Catalytic Converter assemblies include mandrel-bent stainless steel tubing and all hardware needed for installation. These converters have been granted Exemption Orders (EO) by the California Air Resources Board (CARB) and are warrantied to meet California emission requirements for 50,000 miles. Additionally, the stainless steel body and pipes are warrantied for 5 years or 50,000 miles. Why not make the first thing you see when you open your hood a Bowtie radiator cap? This sleek radiator cap is composed of three parts: a Stant® 13-PSI radiator cap, a black anodized aluminum cap cover with knurled perimeter, and an embossed metal Bowtie emblem that can be centered nicely after the radiator cap has been installed. This ensures the Bowtie is lined up the way you’d like it to be! Edge Products continues to revolutionize the performance tuning industry with the all-new CTS2. 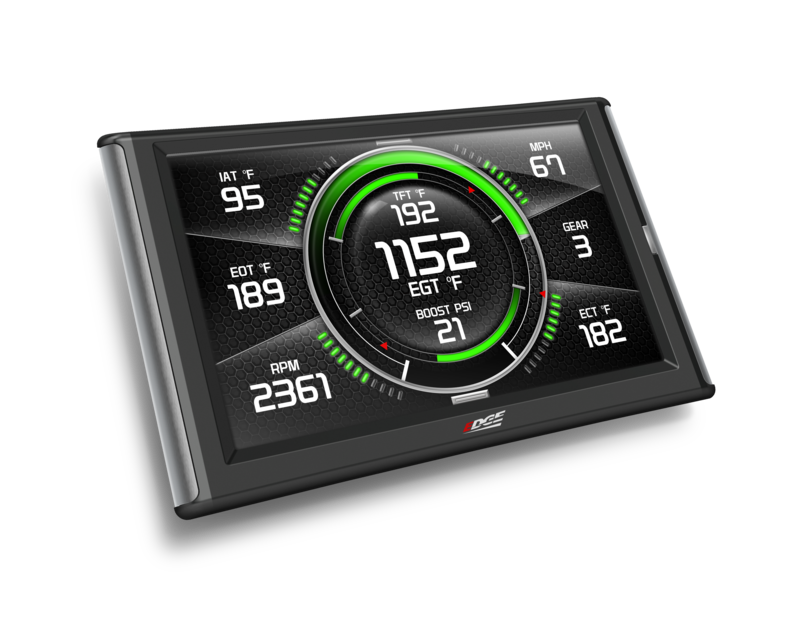 The CTS2 features all of the power and abilities of the previous CTS but with a slim, sleek new case design; a full-color, higher-resolution, 5-inch swipe screen; multiple gauge screen layouts; and fully customizable backgrounds and gauge colors. 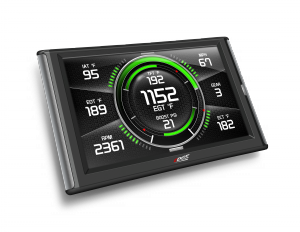 One-touch, easy menu navigation enables powerful performance tuning, vehicle control, and gauge monitoring. 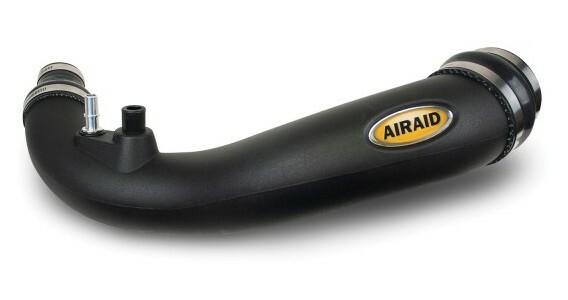 AIRAID Modular Intake Tubes (MIT) optimize airflow to the engine by replacing the factory intake tube. Factory tubes often have accordion-shaped walls, sound-canceling baffles, and undersized tube diameters, all of which hurt airflow. AIRAID MIT kits help straighten and improve airflow to the engine while having a larger opening with a reducer coupler at the turbo. This design enables the tube to easily accommodate future turbo upgrades with larger inlets. The design provides better throttle response and additional horsepower along with better fuel economy. PRW is proud to announce its new line of SFI-rated dampers available for AMC/Jeep, Chevy, Ford, Honda/Acura, Mopar, Oldsmobile, Nissan, and Pontiac applications. Unless otherwise identified, this series of steel-elastomer racing dampers is OEM compatible and designed to work with the accessories and mounting brackets specified for the model years listed. 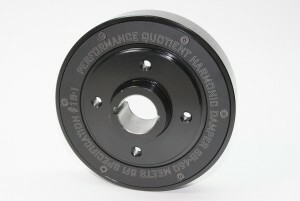 Many features have been added to broaden the spectrum of fitment and adaptability. The inner hub and outer ring are manufactured from high-quality billet steel or forgings, with heated elastomer injected under high pressure between the two component parts. Inner and outer grooved ridge lines further secure the inner hub to the outer ring. All dampers feature primary laser-etched timing marks and useful timing indicators generally provided at 90°, 180°, and 270°. Some models include secondary timing marks for ancillary keyways or expanded model year applications. 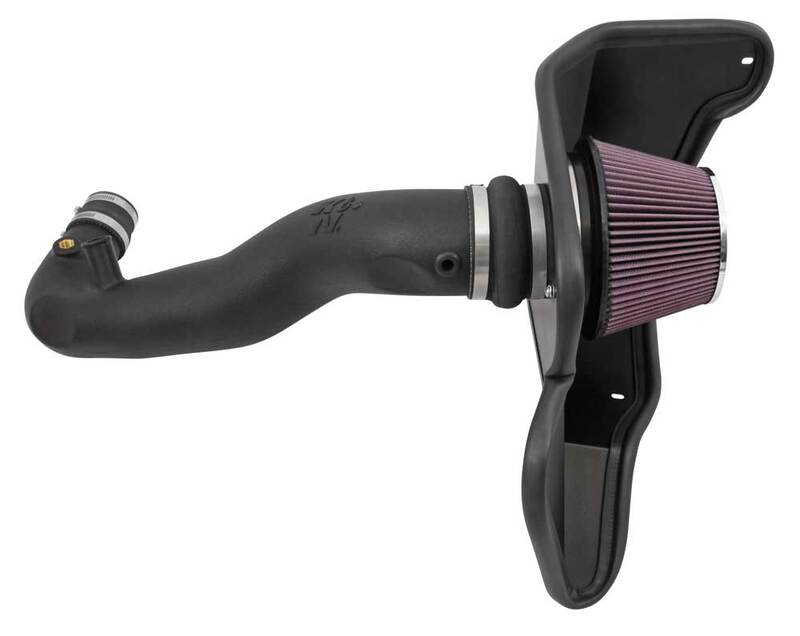 The K&N 63-2589 AirCharger air intake system replaces the restrictive factory air filter and air intake housing on some Ford Mustang models. K&N air intakes are designed to dramatically reduce air intake restriction as well as smooth and straighten air flow. 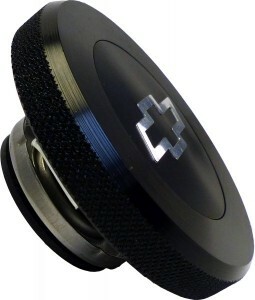 This allows your engine to inhale a larger amount of air than the factory air filter assembly. More air means more usable power and acceleration throughout the engine’s RPM range. The 63-2589 air intake comes with a chrome-topped K&N high-flow air filter and a heat shield that installs into the original air box space. Air is directed through an aerodynamically engineered intake tube into the engine’s throttle body for guaranteed power gain. The tube accommodates the factory crank case vent hose and air inlet temperature sensor as well as the blow-off valve. The oversized cone-shaped air filter can be used for up to 100,000 miles before servicing is needed, depending on driving conditions. This air intake is relatively easy to install, usually in 90 minutes or less using your vehicle’s existing factory mounting points. The tools needed are a screwdriver, ratchet set and an Allen wrench. This air intake cannot be sold in California. It is not legal for use in California or other states adopting California emission standards. Max Energy™…The Best Hand-Held Performance Tuner on the Market! Max Energy Tuning extracts every bit of energy possible out of every molecule of fuel, giving you more miles at part-throttle and more power at wide-open throttle. In order to increase engine efficiency, horsepower and torque, our engineers first optimize the spark and fuel curves point by point over the entire RPM band. With the additional power and optimized transmission functions, drivers use less fuel to accelerate and maintain cruising speeds without the torque converter unlocking or transmission down-shifting. The results are maximum power and fuel mileage. 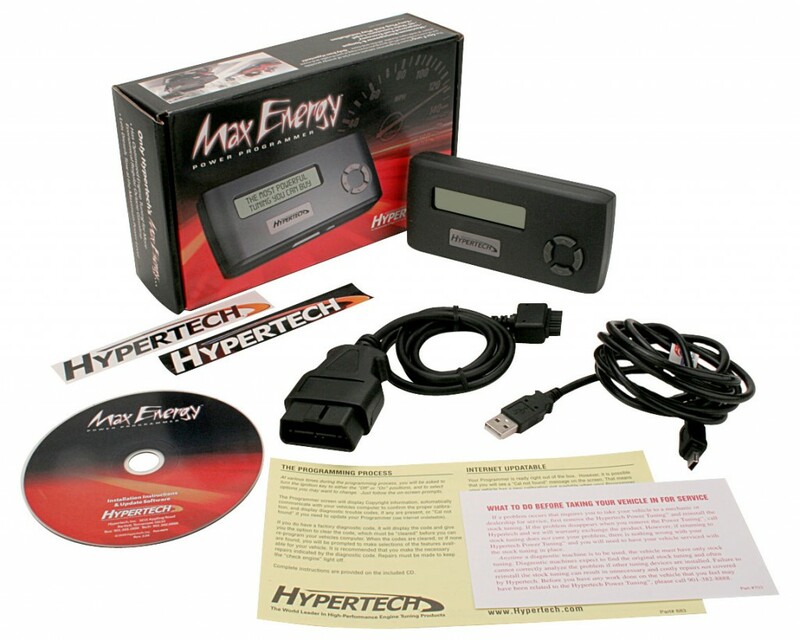 <p>Max Energy™&#8230;The Best Hand-Held Performance Tuner on the Market! 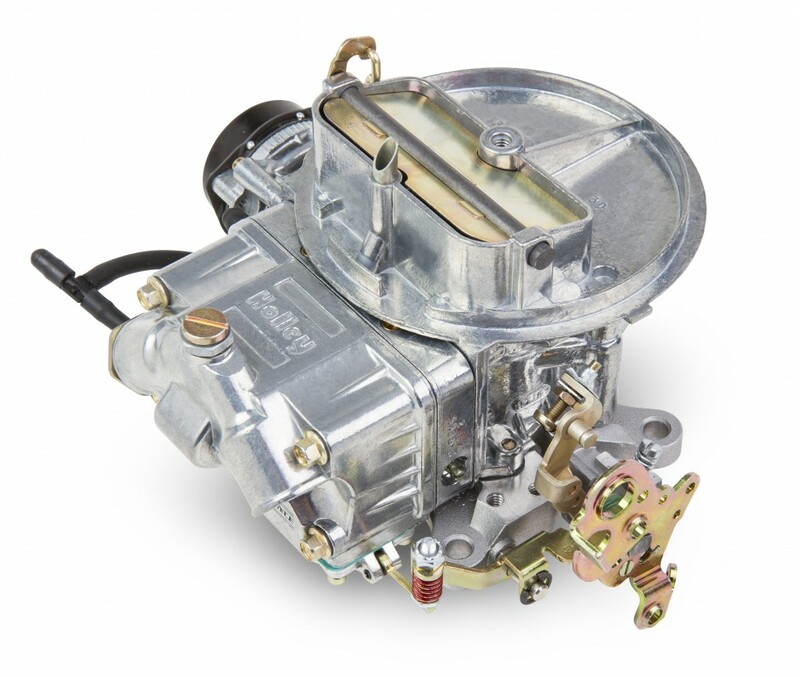 Street Avenger carburetors are known to bolt on right out of the box, and Holley is excited to announce the addition of itsnew 2bbl Street Avenger models, available in 350 and 500 CFM. Street Avenger carburetors have great features such as optimized street calibrations, three vacuum ports for all necessary vacuum accessories, factory preset electric choke for easy startups, built-in fuel filters, and an included 3/8” fuel line connection so there are no unnecessary trips back to the parts store. Avenger carbs are the first to have a limited lifetime warranty. With a great warranty like that and the included comprehensive instruction manual, you can count on years of worry-free service. 100% wet-flow tested by Holley technicians to ensure it arrives ready to run!